State and Federally licensed laboratory and x-ray facilities are available at all five of our locations. This allows for efficient and convenient evaluation of medical problems and ensures that your physician can review the results in a timely fashion. Lab technologists perform routine and specialty testing as ordered by your physician, Monday through Friday during regular business hours. 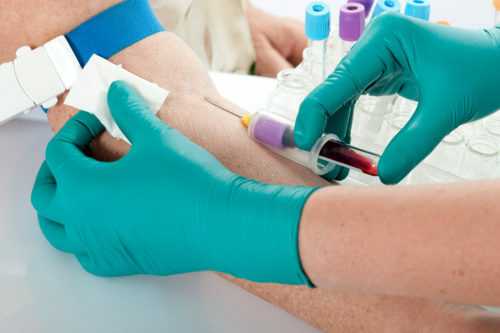 Routine tests are run on daily basis with results available to your physician within 24 hours depending on the test. The results of the tests are automatically transferred to your electronic medical record chart and sent to your physician for review. Your physician is alerted immediately by the lab if there is a medical problem that needs urgent attention. If required by your insurance, we will send laboratory testing to a designated commercial laboratory. Often aspiration of synovial fluid is performed by the physician as part of their exam. By screening the fluid onsite they are able to get an immediate confirmation as to whether there are urate crystals present to provide the diagnosis of gout. 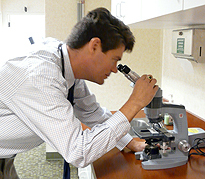 This procedure can be done at each of our facilities with the use of an onsite microscope. Each of our locations are equipped with a state of the art digital x-ray unit. On-site x-ray allows your physician to personally evaluate your x-rays and review them with you during your visit. Diagnosis and treatment decisions can thus be made in a timely fashion. Digital technology displays the x-ray images on a large computer screen. Exposure and size of the image can be manipulated to highlight areas of interest often preventing repeat studies and exposure to more radiation. X-ray images are stored on secure servers and can be accessed at any of our six sites. Previously stored x-rays are easily available for comparison. If needed, your x-rays can be burned on a DVD disc so the x-rays can be taken to other physicians for review.